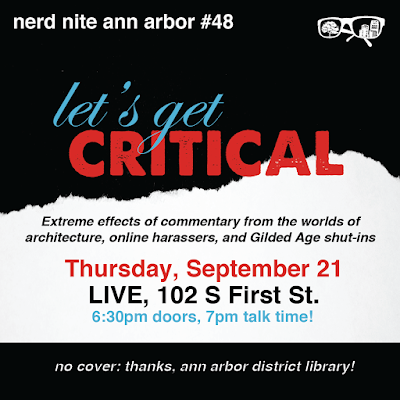 Nerd Nite 48 is tomorrow at LIVE. Jessica Letaw will be speaking on architecture. Lindsay Blackwell will give a presentation on harassment in online communities. And Sara Wedell is going to connect our 21st President, Chester A. Arthur, to the Arthurian Legend. Sounds like a great evening. Doors are at 6:30 and presentations start at 7. There is no cover thanks to the AADL. thanks for the shout-out! tomorrow should be a really good one! Yeah. 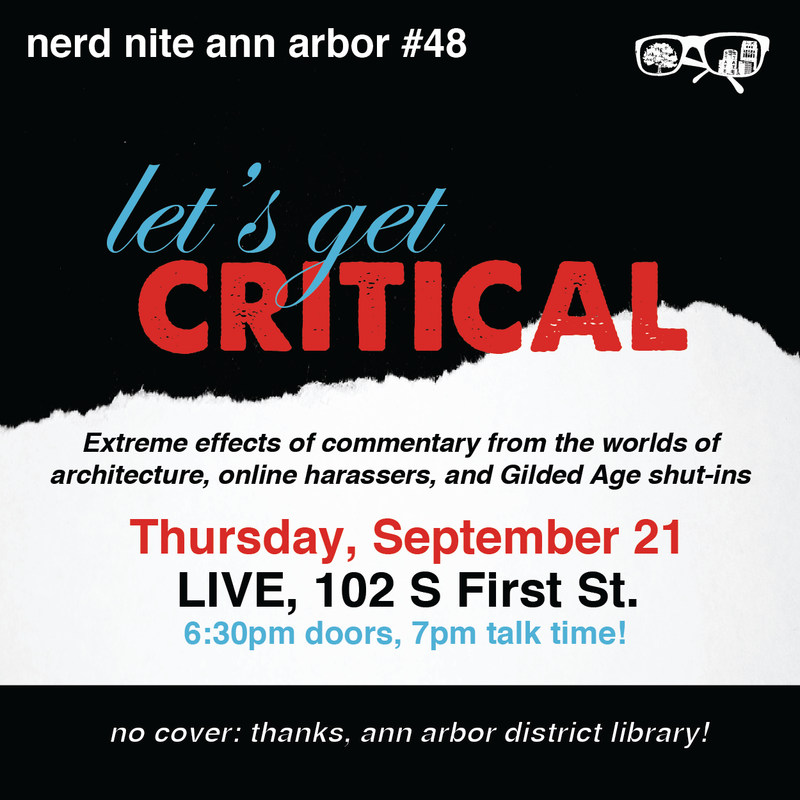 It looks like a really great Nerd Nite.